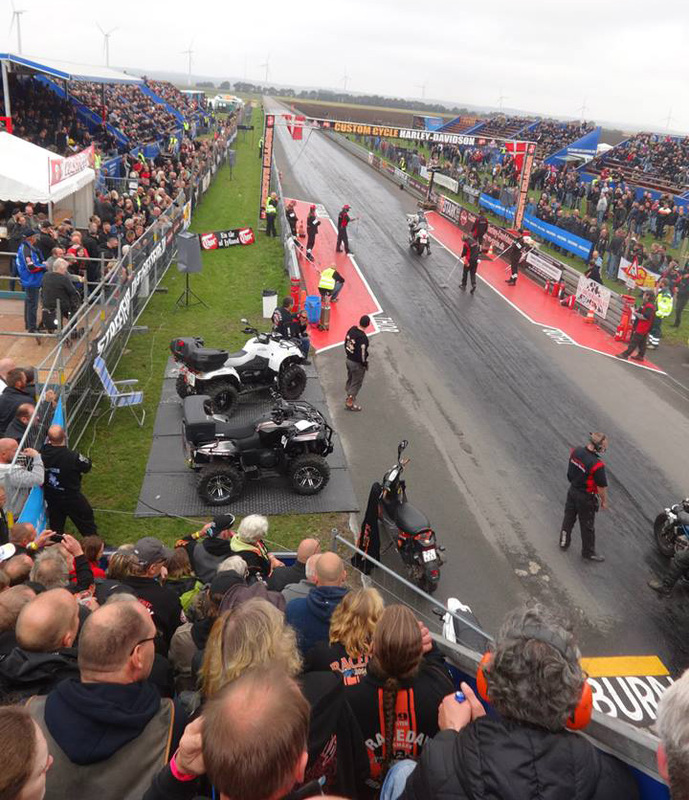 The Gulf Oil Dragracing – Grand Prix Originals took time out from their European Championship schedule to participate in the unique Mosten Raceday in Ørsted, Denmark. 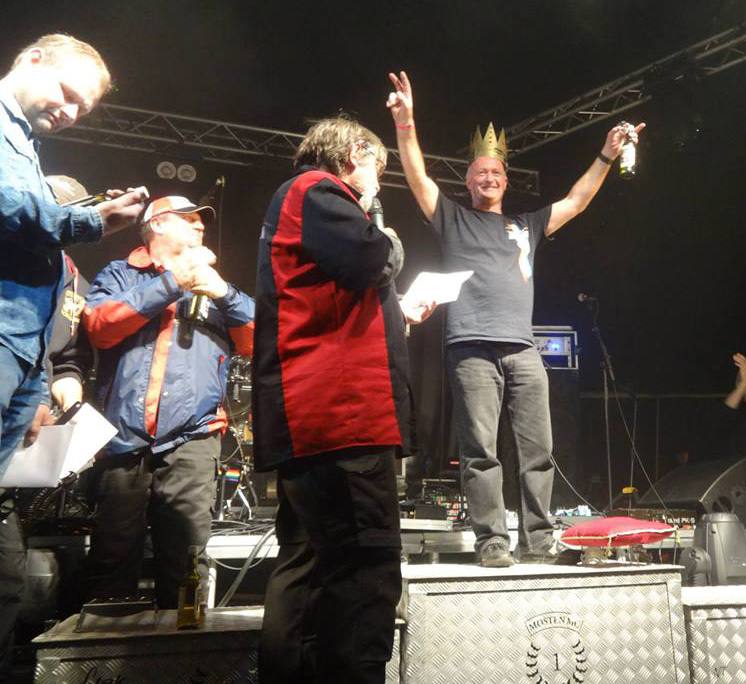 The event staged by the British and American motorcycle club Mosten MC is a mixture of great rock bands, food, festivities, jet cars and Top Fuel Dragsters and an 1/8th mile sprint race against the clock on the club’s own sublime asphalt race strip. A number of classes are run including Junior Dragbike, Scooter Dragbike, Old School, Funnybike, Supertwin and Top Fuel Bike. The usual format is 6 runs over two days with the best three runs averaged to find the lowest ET and the winner per class. The best overall average of all classes receives the accolade of becoming the `King of Mosten’. Unfortunately inclement weather meant that only one run was made by all teams over the two days, but the team maintained their winning streak with the fastest time of all machines and rider Ian King was crowned King of Mosten after narrowly edging out Sweden’s Peter Andersson Stroem into second place with fellow Swede Rikard Gustafsson in third place.